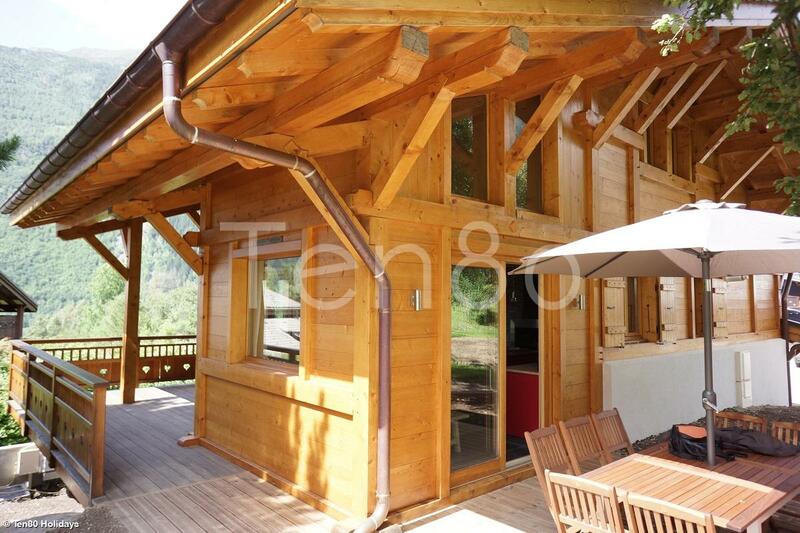 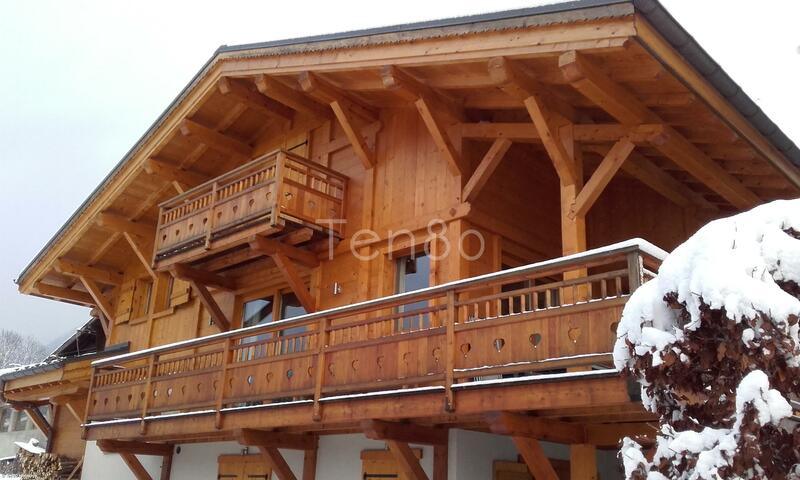 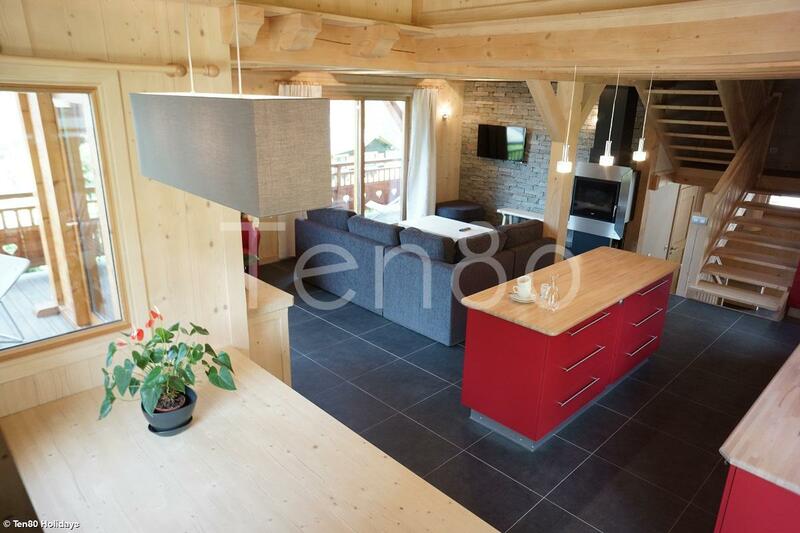 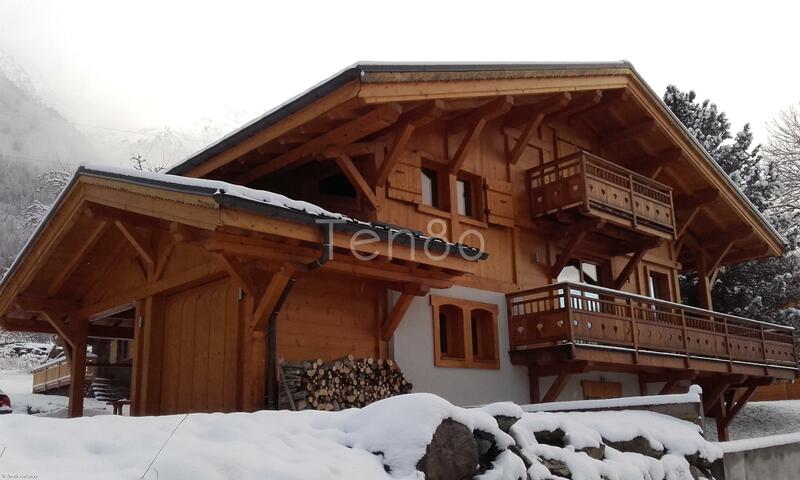 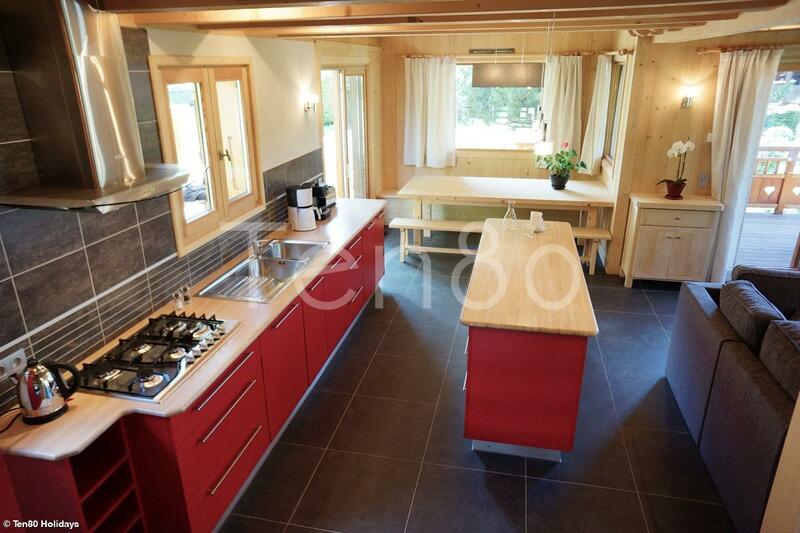 This great chalet has been build and designed with local and regional materials such as spurce and larch wood, natural wood fibre isolement, concrete foundation made with sand from ‘la mer de glace’. 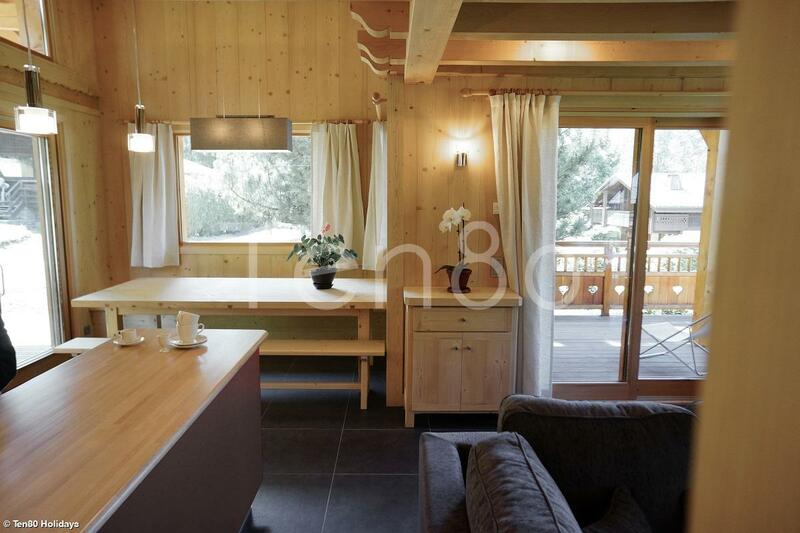 Room 1: Double bedroom with ensuite bathroom (large bathtub) which has a tv, a desk and a access to the garden. 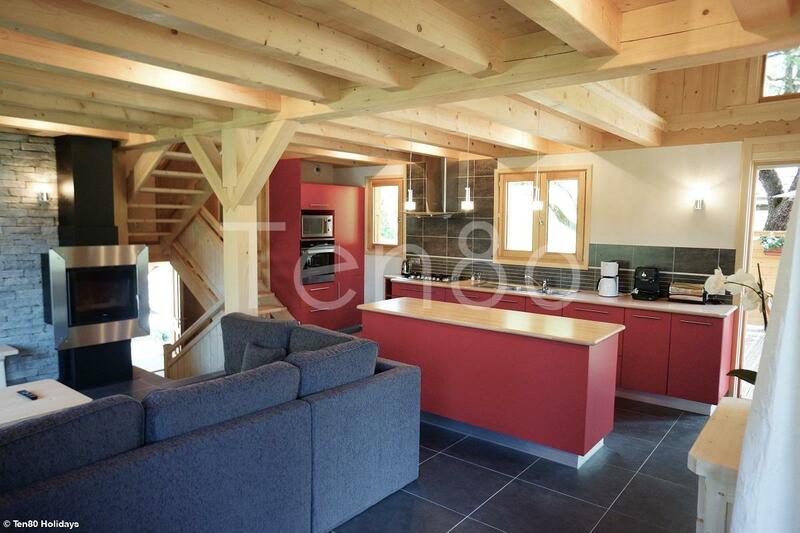 Big open plan living area with: living room, fire place, TV, dining area, fully equipped kitchen. 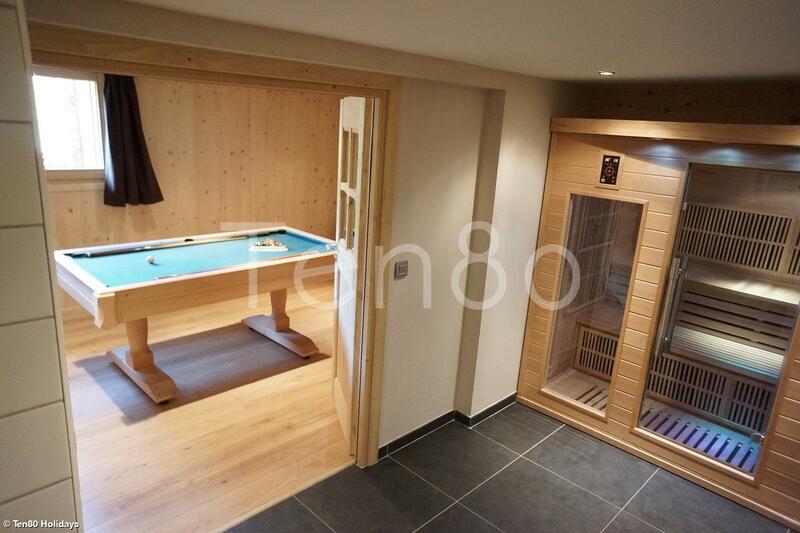 Bedroom 3: large triple bedroom (3 twin beds) with private bathroom (shower) Desk and tv area. 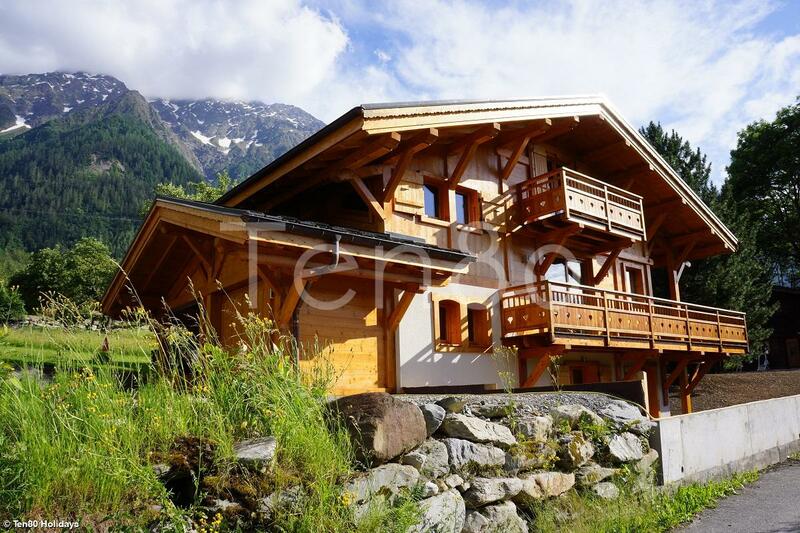 Chalet Ecureuil has a tranquil location only 2 km away from the centre of les Houches and a 5 min drive to Chamonix town.